As the end of the year inches closer, the picture of 2018 is getting clearer. October was another good month, with some worthy releases just missing our list. Here are our picks for the best albums released in October, 2018. To Lemmy with love. Oakland’s buzz arsonists High on Fire send a farewell note to Mr. Kilmister, anointing him Electric Messiah. 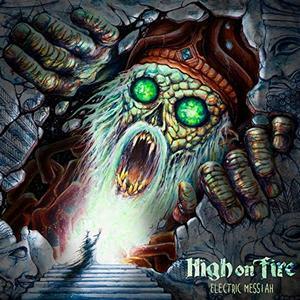 In the tent-pole song “Electric Messiah,” pseudo-soundalike Matt Pike leads his trio through one of HOF’s finest single since “Frosthammer.” Electric Messiah is an excellent addition to the HOF canon. The decades-long consistency is carried on, with producer Kurt Ballou allowing a slightly rawer, slightly more relaxed sound to temper the usual wall-to-wall decibel derby. Dynamics sneak around the outer edges of the frontal attack, especially in Des Kensel’s Tama tantrums. “Sanctioned Annihilation,” “The Pallid Mask” and the intriguing “The Drowning Dog” are highlights to a collection that owes its heart to the Ace of Spades. 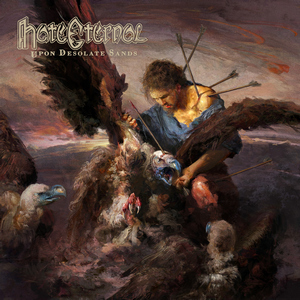 For two decades now, Hate Eternal have delivered consistently good death metal. And while their music has been consistent, their lineup has been a bit more fluid. That’s the case for their latest opus Upon Desolate Sands, which features new drummer Hannes Grossman (Triptykon, Blotted Science). Erik Rutan’s guitar and production prowess are well established, and that continues on Upon Desolate Souls. Crushing heaviness prevails, combining oppressive and dense sections with groovier, driving riffs and periodic shredding solos. Rutan’s death growls are straightforward but effective. The arrangements are creative, and subtle atmospheric touches on songs such as the title track add depth to the extremity. Having established themselves as the preeminent progressive rock band of the decade, Affinity saw Haken take a couple of tracks in a slightly heavier direction, and that tendency comes to full fruition here. 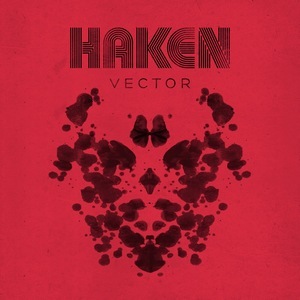 While Haken have had heavy moments on previous albums, Vector is their heaviest overall record to date – a full-on progressive metal gem by one of progressive rock’s most outstanding bands. Haken produced Vector themselves, and Adam Getwood (Periphery, Devin Townsend Project) assisted with the mix. As one would expect, the music and vocals sound amazing, all aggressively pushed to the fore at the right moments. Vector is close to flawless, brimming with graceful yet heavy perfection, and will go down as one of the year’s best progressive releases. Multi-instrumentalist Tristan Shone, otherwise known as Author & Punisher, returns with his sixth album (and first for Relapse), Beastland. For those not in the know, Shone creates all of his own instruments and abuses them in bleak landscapes of industrial/drone metal, similar to a much more harsh, doom-ridden Nine Inch Nails. Beastland consists of eight harrowing, disturbing tracks loaded with post-apocalyptic soundscapes, augmented by Shone’s harsh, distorted vocals. Machines whir and undulate atop propulsive percussion. 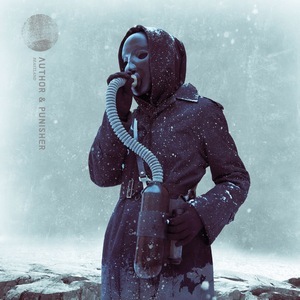 Not a second is wasted on superfluous instrumentation, either: it’s hard to imagine songs that are lush and barren at the same time, but that’s just what Author & Punisher have created here. Thirty-seven minutes of rage has never sounded so ominous and compelling. As he nears AARP eligibility, no one would begrudge Max Cavalera if he slowed down a little, but he remains prolific, releasing about an album a year from his different projects. Soulfly is his main band, and Ritual is their eleventh studio album. It’s also one of their strongest. 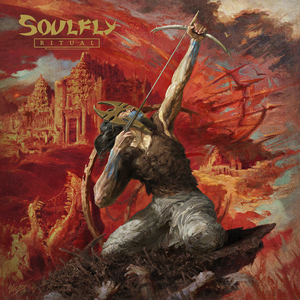 It has what you’d expect from a Soulfly album: groovy riffs, memorable melodies and Max’s unmistakable vocals. The songs are razor sharp, with guests that include Lamb Of God’s Randy Blythe on “Dead Behind The Eyes” and Immolation’s Ross Dolan on “Under Rapture.” Marc Rizzo’s stellar guitar work and the potent rhythm section of Zyon Cavalera (drums) and Mike Leon (bass) make for first-class musicianship. They also mix in a couple of curveballs. “Feedback!” is Motorhead worship, while the closer “Soulfly XI” is an acoustic instrumental with saxophone. The diversity and quality of songwriting puts Ritual in the upper echelon of Soulfly releases. Chthonic took a little longer between albums than usual, as band members were busy doing other things. Frontman Freddy Lim took his political activism to a new level, forming a new political party and was elected to Taiwan’s parliament. 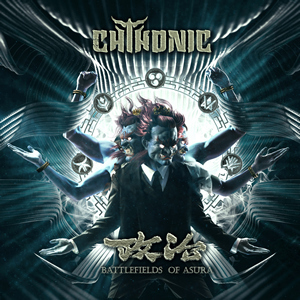 Like past albums, their latest release Battlefields Of Asura was inspired by Taiwanese history and myth. It also includes guest vocals from Hong Kong diva Denise Ho on “Millenia’s Faith Undone.” The music on the album is atmospheric and cinematic, but also intense and extreme. They expertly balance beauty and brutality, with Lim’s harsh vocals contrasted by melodic riffs, soaring solos and symphonic arrangements.